The difference betweenn Rick Simpson Oil and CBD Oil is often confused by hype and misinformation. Is it Legal? Is it Safe? Can it cure Cancer? This article will explain exactly what you need to know, the dangers involved in making Rick Simpson Oil, the risks when buying Rick Simpson Oil online and the main differences between Rick Simpson Oil and CBD oil. The name ‘Rick Simpson’ has become synonymous with “Rick Simpson Oil” and the fight against cancer and other chronic diseases using cannabis: Rick’s breakout documentary “Run From The Cure” documented his battle with the authorities and explained how to make and use “Rick Simpson Oil”, for cancer treatments, epilepsy and other medicinal purposes. Rick Simpson brought Cannabis oil to the mainstream showing the potential of “Rick Simpson Oil” for treating numerous health problems. Controversy surrounds Rick’s story and he has angered many doctors and scientists who consider it all a bunch of anecdotal hype, not backed by any scientific research or clinical trials. Not surprisingly a lot of unscrupulous marketers have jumped on the bandwagon trying to cash in on Rick Sipmson's fame. Confusion between Rick Simpson Oil and CBD Oil? When researching Cannabis oil some confusion often arises, especially when dealing with RSO or Rick Simpson oil. Since both are derived from the Cannabis plant you may not know the difference between Rick Simpson Oil and CBD oil and think they are one and the same thing. This article is intended to clear up any confusion so you can distinguish between Rick Simpson oil and CBD Oil. Many sites make misleading and false medical claims so it's important that you educate yourself. 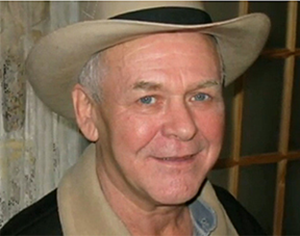 The awareness generated from “Run From The Cure” and “Rick Simpson Oil” led to a tidal wave of interest in and consumption of “Rick Simpson Oil” worldwide. Numerous positive responses and testimonials emerged from “Rick Simpson Oil” users sharing their experiences such as complete remission of cancer or a disappearance of epileptic seizures and reduction in symptoms from various chronic diseases. Due to the legal status of cannabis, officially sanctioned government research is difficult, especially when it comes to getting licenses, permits, and access to quality cannabis for testing purposes. If you read the book "Smoke Signals" by Martin A Lee he explains the deliberate suppression of cannabis medical research and the systematic harassment of doctors, patients and growers even in states where medical marijuana has been declared legal. Rick Simpson clearly isn't alone in his persecution by the authorities. Rick Simpson oil is a Cannabis oil extract made by soaking cannabis plant material in a solvent such as ethanol or isopropyl alcohol and then evaporating the solvent to leave only the pure cannabis oil behind. Typically this oil is then placed in small syringes and refrigerated for storage and later medicinal use. The most obvious difference between Rick Simpson oil and CBD oil is that Rick Simpson oil is supposed to have a high THC content. THC is the psychoactive component in marijuana that gets you "High". CBD oil contains Cannabidiol the second most common cannabinoid and is considered non psychoactive. CBD oil is usually derived from industrial hemp plant but can also be made from any cannabis plant. The second main difference between Rick Simpson oil and CBD oil is the fact that it's illegal in most jurisdictions and that you risk prosecution for possession or production of Rick Simpson Oil, whereas CBD oil has none of these risks. In most countries Rick Simpson oil is an illegal drug since it contains high levels of THC and patients often turn to producing it themselves. A few states in the USA have legalised marijuana or created medical marijuana programs so if you live in these States you can purchase Rick Simpson oil online without fear of any repercussions. In comparison CBD oil is legal to buy in most countries around the world as long as it contains minimal amounts of THC and is made from the hemp plant. To be considered legal it must have THC concentrations below 0.2% or 0.3%. 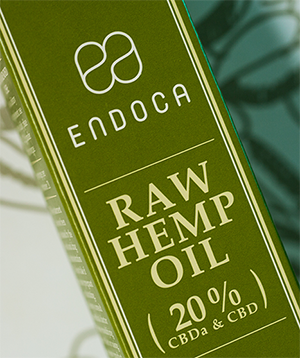 Endoca makes a legal alternative to Rick Simpson oil that gives you a full spectrum extract with over 400 active molecules. Find out more on our webshop or by clicking the product image. Both “Rick Simpson Oil” and CBD oils are made from the same genus of plant namely Cannabis. Hemp produces fewer and smaller flowers with much lower cannabinoid content, but high amounts of fiber, typically cultivated for industrial use it can also provide a high CBD (Cannabidiol), extremely low THC (Tetrahydrocannabinol) content. “Rick Simpson Oil” is typically made from Cannabis Indica strains for healing physical ailments while Cannabis Sativa strains are often preferred for use in treating those with mental illness. When starting your search for Cannabis information you may find many websites that convey the false idea that it's just THC that has anti-cancer properties and that only Rick Simpson Oil works for Cancer. This is a common misconception and is driven by a lack of understanding of how Cannabis works within the human Endocannabinoid system. Everyone wants a simple formula, but the fact is, it's more complicated than that. 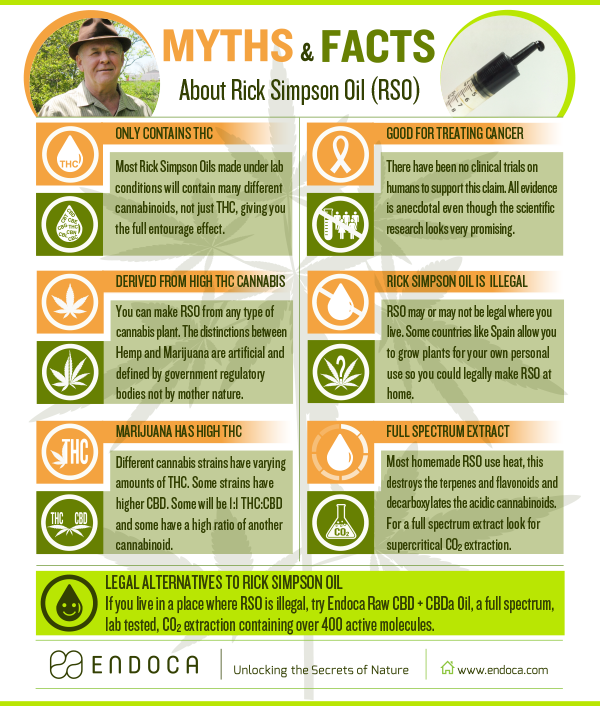 Firstly most Rick Simpson oil contains some amount of CBD or Cannabidiol since it's derived from the cannabis plant. However, you have no way of knowing unless you have precise test results. Furthermore Cannabis contains numerous terpenes and flavonoids and other minor cannabinoids which influences its final effect, this is commonly referred to the Entourage Effect. Most people who are new to cannabis therapeutics may find it uncomfortable to take THC in the high doses needed to have any effect. It can have certain unpleasant side effects and it takes time to build up a tolerance. CBD acts together with THC to reduce its psychoactive effects which is why other researchers and patients say that a 1:1 ratio of THC to CBD is best or that the preferred ratio of THC to CBD depends on the type and stage of cancer you have. Much work is needed to find out what actually works and why. This is why the difference between Rick Simpson oil and CBD Oil is sometimes confusing. Anyone who tries to give you a simplistic answer clearly doesn't know what they are talking about or they just want your money. The THC:CBD ratio in Rick Simpson oil will depend on the qualities of the particular plant material you use for extraction purposes. The only way you can know for sure the exact ratio of THC to CBD is to do a laboratory test for each batch of oil you make. If you are making Rick Simpson oil at home this is not possible or even practical since it's expensive and time consuming. A CBD extract from hemp will only be high in CBD and negligible in THC or CBN contents, which are typically so very low that they easily fall under legal thresholds throughout many countries worldwide. Besides CBD and THC, many other minor cannabinoids such as CBG and CBN in their acid and decarboxylated forms can be found in small amounts in both plants. The safest way to use Rick Simpson oil is to make it yourself from plants that you have grown in your own home since you are in control of the whole process. If you purchase Rick Simpson oil online or from a stranger who has contacted you on Facebook be aware of the following dangers. 1. Did they use 100% organic plant material for their extract? If the plant was grown in soil contaminated with pesticides or heavy metals these will be present in your Rick Simpson oil extract. 2. Did they use a high quality solvent for their extraction? If they didn't then poisonous residues of ethanol or methanol may remain. 3. Did they evaporate all the solvent from the oil? Many ignorant, lazy or greedy manufacturers of Rick Simpson oil don't complete the full evaporation of the solvent since by doing this they are left with more oil meaning they can make more money. 4. Did they filter the extract correctly? If not the oil will contain a lot of plant material and waxes that will make the extract taste unpleasant and burn the back of your throat if you take it orally. 5. Do they know the exact THC:CBD ratio? If not then you might have a very strong THC oil that you may react badly to. THC can cause very unpleasant mental paranoia in a few people which is why having some CBD is generally considered a good thing since it mitigates the psychoactive effects of THC. 6. Do they Batch test their product? If not then you may just be buying olive oil with little or no THC or CBD in it. Since there are no industry standards yet, it's the wild west out there. Beware of snake oil salesmen! 7. 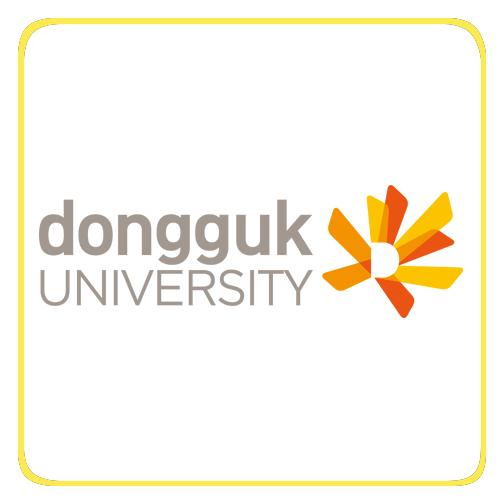 Do they practice proper safety and good manufacturing processes? Most Rick Simpson oil that you buy online is made by well meaning people in their backyards. While their intentions may be good, they don't have the proper safety and good manufacturing procedures in place which means their product may be contaminated putting your health at risk. 8. Is the price you are asked to pay reasonable? Calculate how much it would cost them to produce the Rick Simpson Oil. This will vary depending on the price of marijuana in your area and the legal risks involved. Are you being taken advantage of because you are desperate? Ask around and do more research before parting with your money. 9. Are they putting pressure on you to buy? Many Scammers are contacting vulnerable people on Facebook and then sending them images of people dying of Cancer and making them feel guilty if they don't buy from them. Saying that they or their loved ones will die. 10. Are they giving you false medical advice? Anyone who is making medical claims who is not a doctor or registered health practitioner familiar with cannabis therapeutics should be avoided like the plague. Do your own research. 11.WARNING : Making Rick Simpson Oil can be Dangerous. There is a real risk of explosion when evaporating the solvent. At Endoca we have created a helpful video with a safer more refined extraction process so you can make Rick Simpson Oil at home. Rick Simpson made some very strong medical claims in his documentary, attracting the attention of the Canadian authorities and the world’s medical establishment. Since his claims that his homemade cannabis oil could cure cancer were anecdotal and not backed up by clinical trials or proper documented research some people choose to discard his findings and label it unscientific. But growing evidence points to the fact that there may be some truth some truth in Rick’s claims. Cannabinoid research by Dr. Manuel Guzman in Spain has shown that THC can reduce the size of tumours in mice. But to date no proper clinical trials have been done on live human subjects. Anyone making the claim that Rick Simpson oil cures cancer should not be trusted since these kind of medical claims are illegal in most countries and go against the FDA regulations. THC has been used successfully in palliative treatment for cancer to reduce nausea, vomiting and pain and by stimulating appetite during Chemotherapy. Research into the human endocannabinoid system has shown promising results, but much more research is needed to fully understand the mechanisms involved and how endocannabinoids produced by our body help regulate our whole body-mind system and promote health and well being. In the past few years CBD has become the new buzzword. CBD is a very important component in cannabis and is one of a hundred displaying a full spectrum of benefits while also being non-psychoactive and legal in many jurisdictions. One of the medicinal benefits of CBD is its anti-epileptic properties which were made famous by a young girl named Charlotte who used a high CBD product now known as “Charlottes Web” and popularised by the CNN program “WEED” with medical doctor and journalist Dr. Sanjay Gupta. But Scientists have know for a long time about CBD's anti epileptic properties. In fact clinical trials were made as far back as 1980 by Dr. Ralph Mechoulam the pioneer of Cannabis research. And recently GW Pharmaceuticals completed clinical trials showing its Epidiolex drug had "significantly reduced seizures in patients with Dravet syndrome, a type of epilepsy for which there are currently no treatments approved in the US. In the trial of 120 patients, those taking Epidiolex saw a reduction of monthly convulsive seizures of 39% compared with 13% for a placebo". Both “Rick Simpson Oil” and CBD have been very visible in the press. Anecdotal evidence from consumers of both “Rick Simpson Oil” and CBD oil have given numerous and often astonishingly positive feedback, however there is also confusion as to what the similarities and differences are between “Rick Simpson Oil” and CBD. Does Rick Simpson Oil cure cancer ? It's very hard to say. While this isn't the answer most people want, it would be wrong to mislead people and give them false hope. Cannabis therapeutics are often turned to as a last resort after going the conventional cancer healing route of chemo, radiation and surgery. The results for someone with stage 4 Cancer may be very different than someone using Rick Simpson oil or CBD Oil as a prevention or early stage treatment. Just because someone eventually dies who has used Rick Simpson Oil doesn't mean it didn't help them on their journey or improved their quality of life compared to mainstream medical treatments. Medical scientific research is now confirming thousands of years of traditional plant based therapies. Both THC and CBD are showing enormous importance as part of any cannabis based approach to health. For a real life look at how Rick Simpson Oil has been used in the UK this documentary may be helpful for you. •THC content. Rick Simpson oil has a high THC content which will get you stoned. CBD oil has a low THC content and is not considered psychoactive. •The method of Extraction: Rick Simpson oil is usually made using a solvent extraction. CBD oil can be made using solvents or Supercritical CO2 extraction. •Safety: homemade Rick Simpson oil is generally not tested for pollutants. Commercially produced CBD oil from reputable manufactures will be lab tested and made under GMP (Good manufacturing practices). •Illegal: Rick Simpson oil is generally illegal in most countries unless you live in a place where cannabis is allowed. CBD oil is generally legal in most countries.